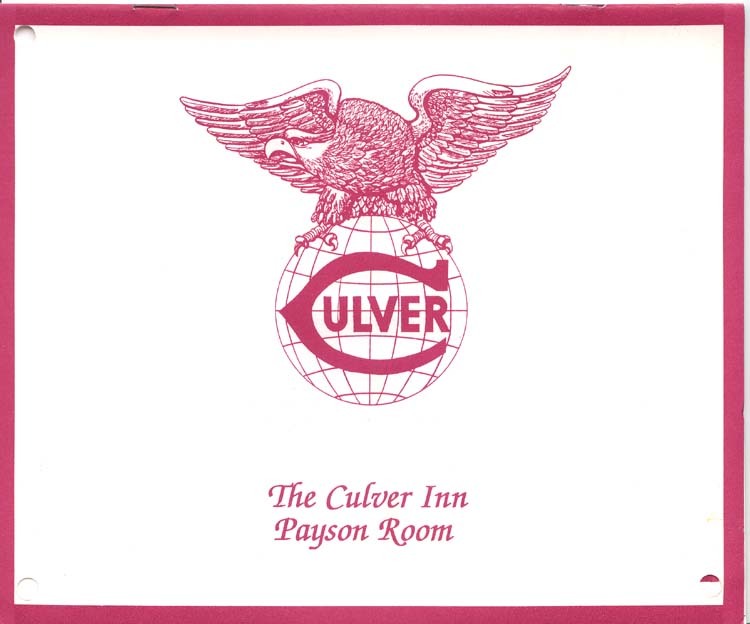 Thanks to Jan Sanders, longtime employee of the Inn, for the donation of this and several other artifacts related to the Culver Inn for use on this site. 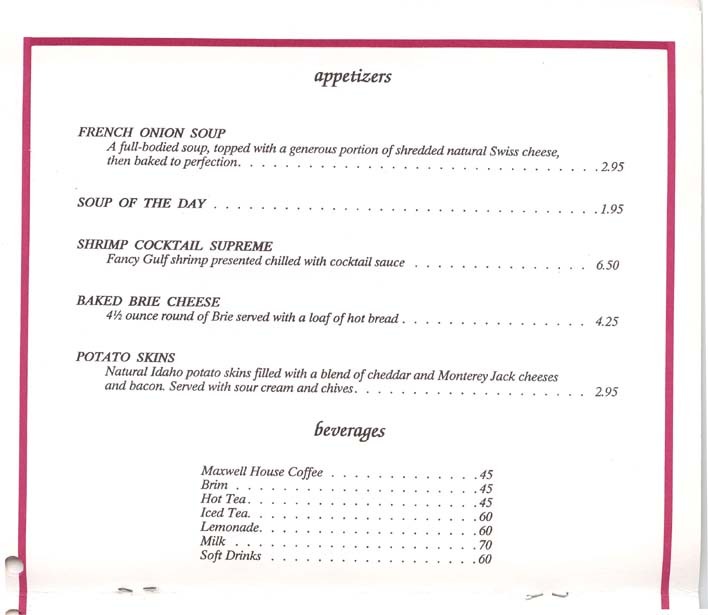 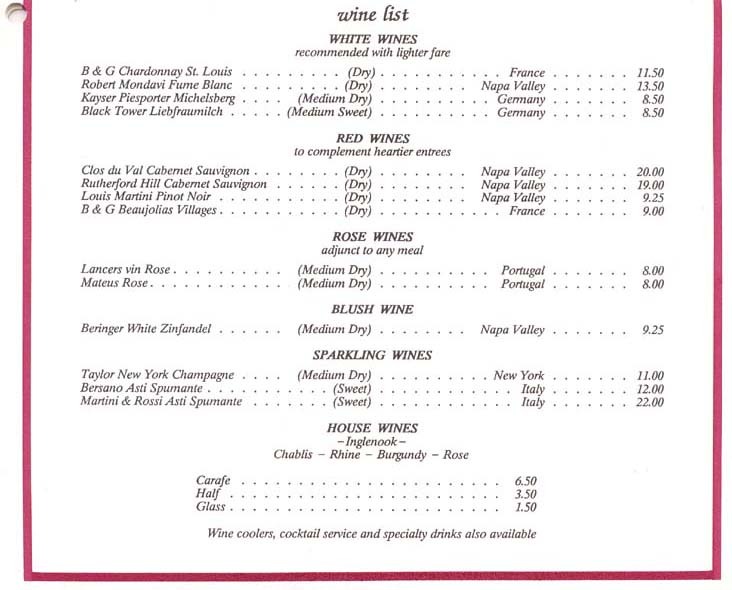 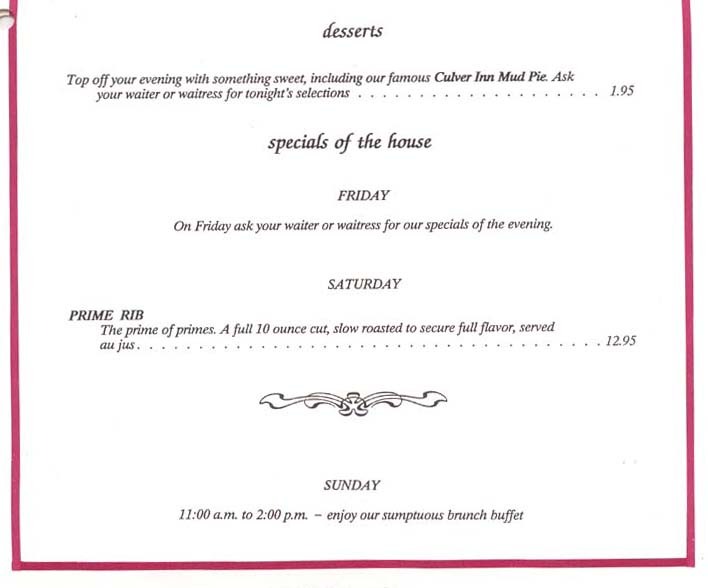 Below is the last menu used at the Inn before its destruction in 1991. 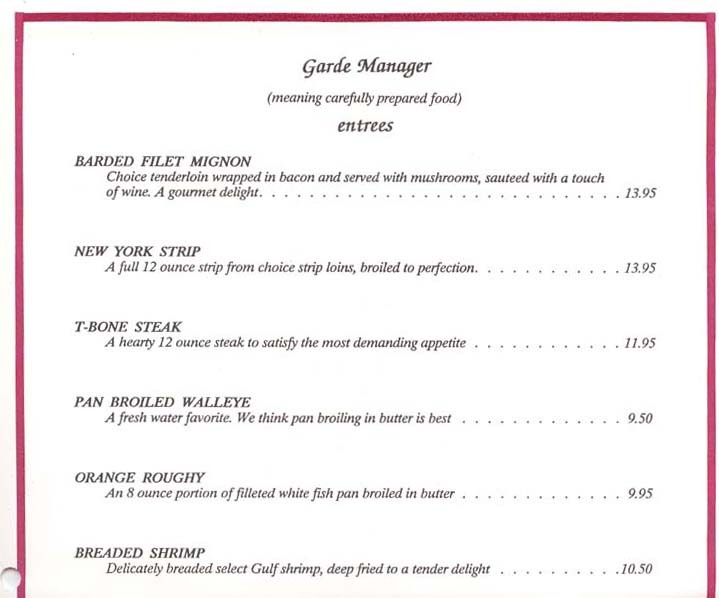 Click each small image at top to view an enlarged version -- be sure to arrow through the entire menu, using the arrows on the right and left of the slideshow. 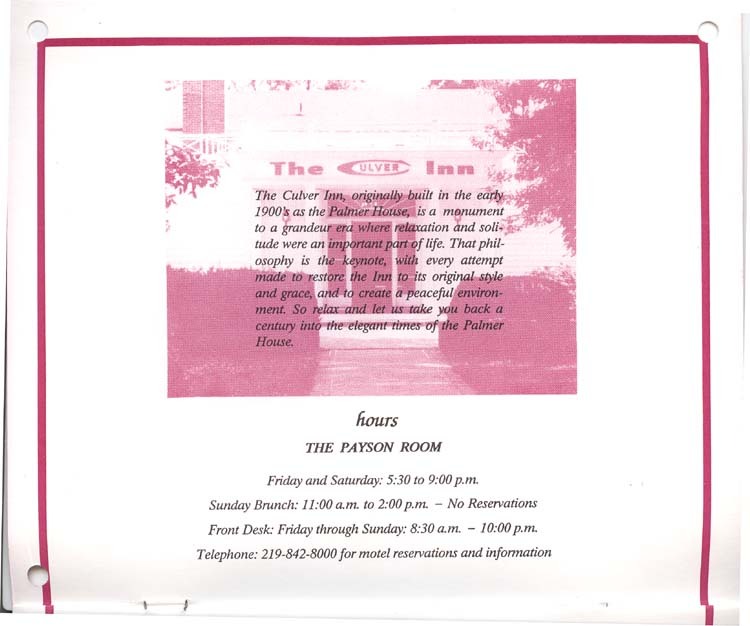 Submit Your Memory or Story about the Inn!